The Inglenook legacy began in 1879 when Gustave Niebaum, a Finnish sea captain, wine connoisseur and entrepreneur, came to Rutherford to build a wine estate that would rival Europe´s finest. When Niebaum´s grandnephew, John Daniel, Jr. inherited the chateau and vineyards in the 1930s, Inglenook had already earned international acclaim. Francis and Eleanor Coppola purchased the property in 1975 and have spent forty years reuniting the original vineyards, returning winemaking operations to the chateau, and restoring Inglenook´s illustrious heritage with the help of renowned wine consultant Stéphane Derenoncourt and Managing Director and Winemaker Philippe Bascaules. 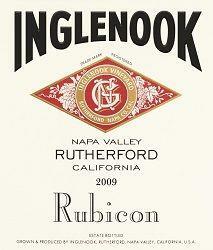 In honor of this estate and its historical significance, we have restored the name, Inglenook. ; Distinctively appointed tasting rooms, vaulted stone cellars and a spectacular hand-carved stair case are a few of the dramatic attractions. At the Centennial Museum visitors can see documents and artifacts from Inglenook's early beginning and the story of the Coppola family restoration of the Estate. Winery Features Open to the public Open by appointment - call/email Offers tours by appointment - call/email Winery is family friendly Seated tasting available Tasting available in private area Tasting fee Indoor tasting area Outdoor tasting area Winery has gardens Winery includes wine caves Winery property is historical landmark Romantic Family run Winery practices sustainable agriculture/production Winery can host corporate functions up to 200 people Club member lounge Family Friendly Winery Borrow boats from The Bistro and float them in the fountain while parents enjoy a glass of wine.